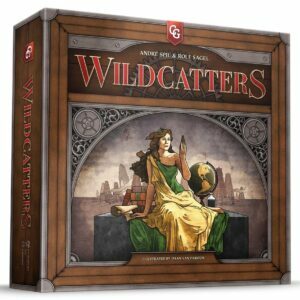 Once upon a time, Uwe Rosenberg was known as one of the greatest card game game designers around – arguably the very best. 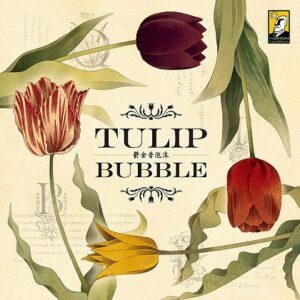 He was – and remains – best known for Bohnanza (featured in the Fall 1997 issue of Gamers Alliance Report) among these designs, but others such as Mamma Mia (Spring 1999 GA Report) and Schnäppchen Jagd (Winter 1999 GAR) helped to create a large fan base. Then came Agricola (Winter 2008 GA Report) and now a generation of game players knows Rosenberg for his boardgames. 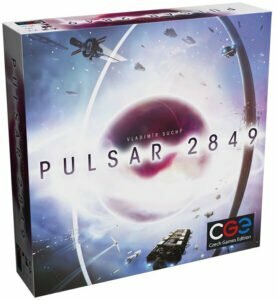 And not just simple boardgames – but big, complex, and highly involved boardgames. 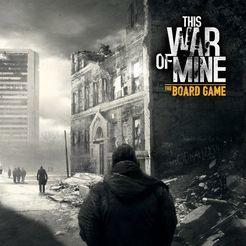 These games have typically involved a dozen or more different resources, and at least as many different actions – a style very popular on BoardGameGeek, if not often to my preference. 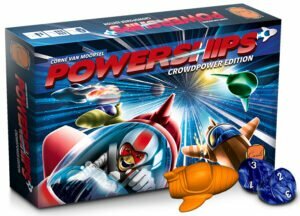 But it’s clear that Rosenberg has been giving some focus to making lighter games as well – if not, as I keep hoping, returning to the occasional card game. 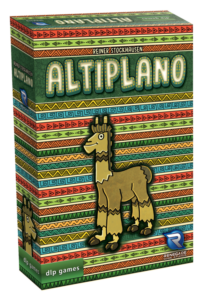 Games such as Patchwork are opening his designs to a wider audience but they have little in common with games like Agricola. But in 2013, Glass Road was released – a notably shorter and less complex game, with fewer resources – and a much easier system for tracking them. But with Nusfjord, Rosenberg has managed to reduce the number of resources to just three – gold, fish, and wood. 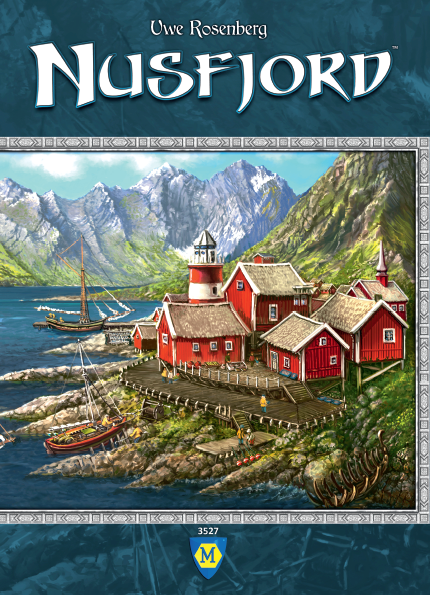 Nusfjord is a game for one to five players, set in the eponymous village in northern Norway. Players have three action discs, a personal supply, two of your own shares, which get you fish provided you collect enough, and three unissued shares, which can be issued for gold – but if another player buys them, they must be given fish before your own shares. Players also have a player board, which starts with four forests and five empty spaces for buildings – or additional forests. There are three types of buildings in the game, each of which in addition to victory points may offer immediate or ongoing rewards; one action space allows for these to be built. 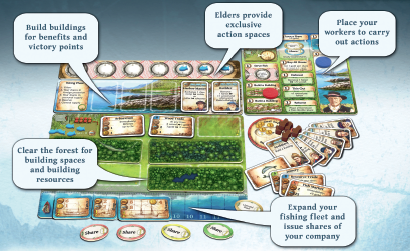 Some buildings, along with excess fish collected, go to a player’s reserve, so another action allows a player to move their reserve into their supply. Three spaces allow for wood to be collected from forests or additional forests to be planted. And finally, one space allows ships to be built, increasing one’s catch of fish each round. With four or five players, there is the option of copying an action which has already been fully used. The game is player over seven turns; unusually, while the turn progression is clockwise, the first player moves counter-clockwise. The first step of each turn is to check for special instructions; in some rounds, additional buildings are brought into play. And C buildings only come into play on the fourth round, when they are distributed to the players for their private consideration, with any unbuilt C buildings becoming generally available at the start of round six. The second step of each round is collecting fish, distributing them in order to elders, shares held by other players (or the bank), one’s own shares, reserve, and should the reserve overflow, back to the general supply. Then in turn order players take their three action. 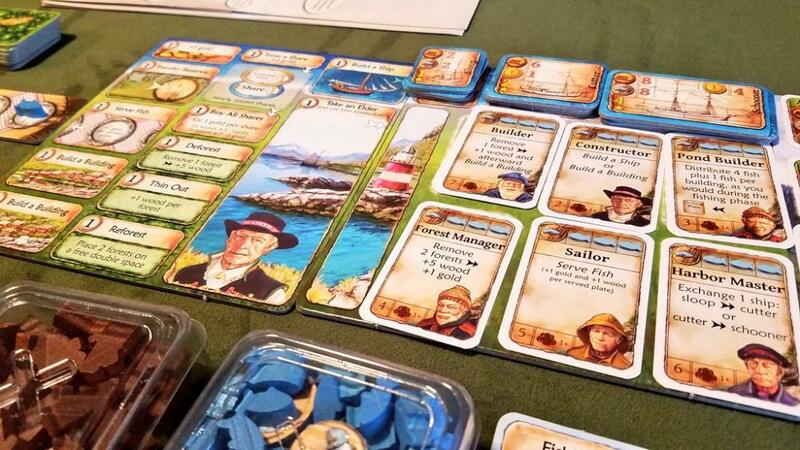 Scoring is fairly simple, as Rosenberg’s boardgames go; players earn points for gold, for buildings, for ships, and for shares owned, and lose points for empty space on their boards and for unissued shares. The highest score wins. Note that there is no requirement to include any specific scoring element; it’s possible to skip any element of scoring, and still come out on top. While I am a fan of Le Havre and Glass Road, among Rosenberg’s more recent designs, I find that many of these designs fall into a genre I’m not fond of – one where the focus is on figuring out how the various scoring elements come together to optimize your strategy, rather than on having clear scoring, and keeping the focus on how to impact scoring with a simpler set of options. Not that Rosenberg is an extreme example of this type of game – just that some of his designs feel this way to me, which doesn’t encourage me to try more of them. So Nusfjord was only on my watch list, even though it sounded more appealing than many of his other recent designs. But then I had the chance to try the game – and I enjoyed it. So I tried it again, and if anything I enjoyed it more. 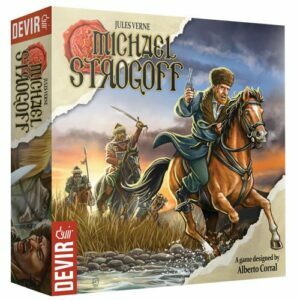 By chance, I happened to attend BGG.CON last year, and discovered that Mayfair would be selling copies – which, given the rumors of the state of Mayfair at the time, I didn’t want to miss out on. So I waited in line and secured a copy. Which, given how slowly the game is making it to the United States, I’m very happy about – I’ve had the fortune of plenty of time to explore the game. I’m not a solitaire gamer, so I haven’t tried that, but I have played with as few as two and as many as five, and it works well under all of these numbers. The five player game is longer, though, and not a good fit if you’re impatient – but unlike Le Havre, I won’t rule out playing with that many, just do so advisedly. While not so complex as Agricola, for example, Nusfjord is not a light game; experienced players will be at a noticeable advantage. 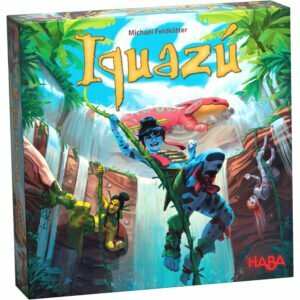 While for me this is an advantage, I know it’s not one in every group – such groups might be wise to have an experienced player teach, but not play, with those new to the game. The reduced number of resources is, honestly, delightful – but it does mean than buildings are created with some combination of wood, gold – and fish, which doesn’t always work thematically for me. There are actually three different sets of building cards included, which is a nice plus for variety from game to game – but I feel some of the C building cards are not well balanced, and worse, some of them require having followed a particular path before ever seeing the cards. 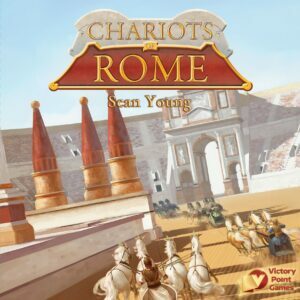 Fortunately, while this does give some advantage to the player who draws well, it can be overcome by better play elsewhere – and most of the buildings can fit into multiple strategies. 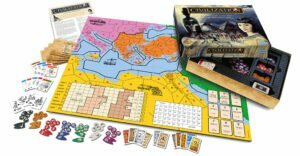 The production is typical for Lookout – the cardboard is appropriately thick, the wooden pieces well made – _except_ for the one gold coins, which are almost as small as the counters in Clippers, and often hard to pick up for anyone with larger hands. 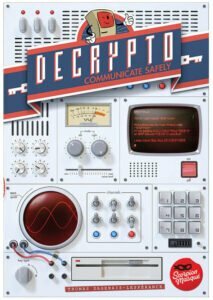 There is a separate glossary of the buildings included, which is really handy for answering questions players may have – we’ve yet to hit a case not covered. 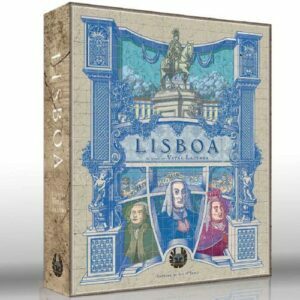 The biggest challenge with the game at present, of course, is obtaining a copy; I’m sure that will be resolved in due order. 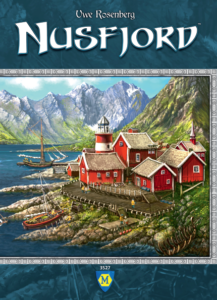 I must admit to not being terribly enthusiastic about Nusfjord; the description did hold some interest, but not enough to track down a copy before I tried it. But when I did have the chance to try it – it immediately moved on to my list of games to pick up. I was fortunate enough to have the opportunity to do so soon thereafter, and I’ve already collected a dozen plays.